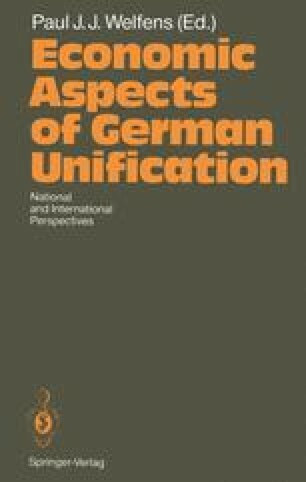 German Unification, coupled to the processes going on in Eastern Europe, is definitely a major event in Europe, if not the most important one since World War II. This is so because it opens new paths to freedom in Eastern Europe and because it increases, both politically and economically, the weight of Germany. But, as decisively, it is also a major change since it will probably shift the center of gravity of the European Economic Community in the long run and induce significant changes within its organization. I would like to thank my research assistant, Delila Allam, for her help.